According to Dr. Sears, a popular website that deals with parenting, children start to develop their moral compass as early as 3 years old. This statement isn’t intended to cause you to despair if you find your child acting up, or selfishly after the age of 3, but it is important to note as parents that our children are starting to understand how their actions impact others at that age, and how the actions of others make them feel. A brilliant Psychology Today article by Meri Wallace confirms that as early as 5 your child has developed a conscience. 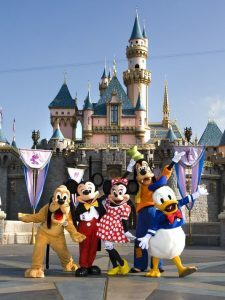 We all want to take our children on amazing trips, let them experience Disney Land because we didn’t get to or see the world in ways that we felt we just didn’t get to as children, and I commend all of you for doing so. In fact, I do so myself. I want my child to experience what I believe, are things that I didn’t get to that may have benefited me. 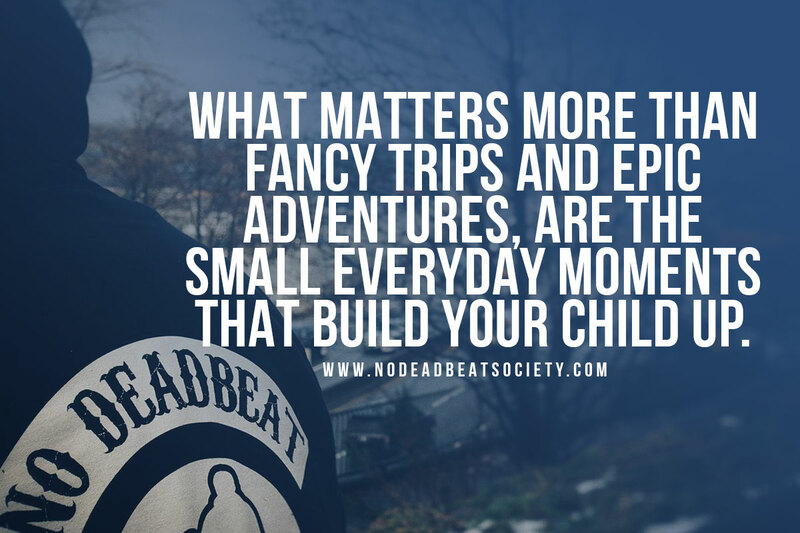 While parenting, what matters more than fancy trips and epic adventures, are the small everyday moments that build your child up. Born To Learn, a study conducted by the Department of Psychology at the University of Washington (Written by Andrew N. Meltzoff), confirms that even in infancy children begin to learn from our actions as parents. In fact, he states that parents take on an almost therapist-like role in the infancy of a child. And if you think about it, it makes sense. Whether you are dancing in front of your infant to make them laugh, or take a toy away that they are smashing into the coffee table you are guiding them through their emotions, often empowering them to feel certain ways about certain things and situations. The way you speak in front of your child matters, so of course, the way you act matters. They are picking up senses and feelings with reactions either internally or externally to everything you do. 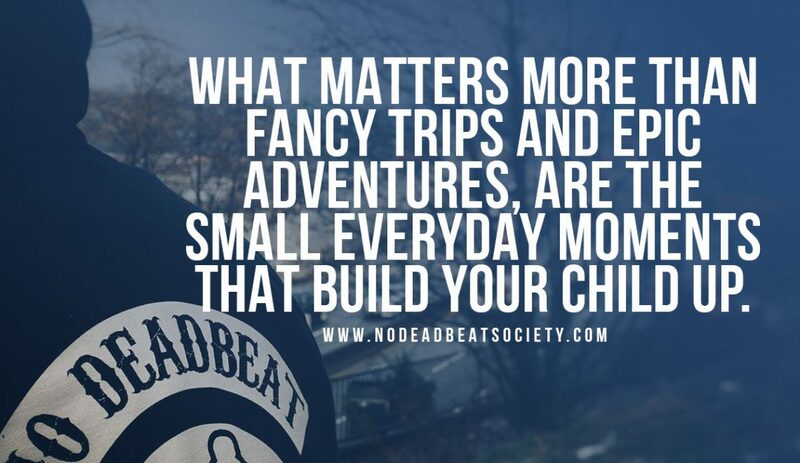 So while I believe you should take your children to Disney Land, on amazing adventures, show them the world if you can; what really matters is that you are focused on the micro-moments throughout their childhood. We are living in a time where we can no longer claim ignorance. We know that second-hand smoke is horrible for our lungs, we know that physical discipline leads to mental health issues, and we know better than to continue cycles that we know we should break. Data tells us that the psychology of parenting matters. Every moment you interact with your child while it is every other weekend or every day of your life matters to them. I’m not saying that you need to over think every time you tell your child to turn the music down, or that they played well in soccer, but you should be conscious of your words, your actions and how you are making them feel. Whether its discipline, correction or praise, every moment matters to your child and those multiple micro-actions of parenting mean so much to the development of your child.